The Promotional Committee for Olive and Olive Oil, which was established on April 3, 2007, has just started its operations in order to promote olive and olive oil in countries which have been chosen as the target markets of the olives and olive oil. Objective of the Promotional Committee for Olive and Olive Oil is to increase the efforts directed to the foreign markets and to diversify our export markets as well as implement promotional campaigns for the establishment of the “Turkish Olive and Olive Oil” brand and image. And for the domestic market, the committee intends to carry out promotional activities which will improve the consciousness of the consumers in order to develop the market and increase the consumption. Other objectives of the Committee are to ensure product diversity in accordance with the demands from the world markets and to enhance the market channels, thus applying a sustainable pricing policy. 2013 International Extra Virgin Olive Oil Competition as a member of the jury. – Olive and Olive Oil Promotion Committee performed promotional activities about Turkish Olive and Olive Oil sector in Food Hospitality Fair in China 2013. A seminar and tasting event was arranged on the second day of the fair. -Also our committee has attended International Food Exhibition (England), Feira Apas (Brasil), Anuga (Germany), Agro Food (Iraq), Expo Turkey in Thailand fairs and carried out various promotional activities during these fairs. – In order to establish the olive oil as a culture, perceptioning and explaining the health benefits of olive oil our committee has attended “Gastro Istanbul Food Festival” in Istanbul on May 9-12, 2013 and in “Olive Oil Festival” Izmir on Oct 4-6, 2013. -This year our committee has attended Gul- Food 2014 (United Arab Emirates) fair and carried out promotion activities. -By the end of this year our committee is going to attend Summer Fancy Food Show 2014 (USA), Sial Paris 2014 (France), Food Hospitality China 2014 (China), Agro Food 2014 (Iraq). -This autumn, within the “Olive Oil: Healthy and Tasty” Project which is supported by International Olive Council, in order to create the olive oil is a culture perceptioning, health benefits of olive oil is going to be explained to consumers and tasting activities going to be made by olive oil tasting experts in shopping centers in various cities of Turkey. – Olive&Olive Oil Sector Buyers’ Mission Program was organized between April 8-11, 2014 in Izmir. Companies form Brazil and America has attended the program and B2B meetings were made. Also visit to production fields & facilitates and “4th Olive, Olive Oil and Technology Fair” has been organized. 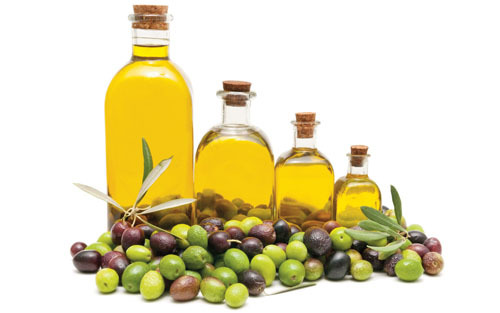 Another Olive&Olive Oil Sector Buyers’ Mission Program is going to be organized at the last quarter of 2014 in Izmir. The program is going to be organized by the General Secretariat of Aegean Exporters’ Associations, Izmir. Izmir, situated in the western coast of Anatolia ca. 5000 BC, historically has a important place and role in the foreign trade of past Anatolian civilizations and modern Turkey as she is one of the most important gateways of Turkey opening towards west and to the rest of the world. Her traditional export items such as dried figs, sultanas, cotton, tobacco, olive and olive oil have been exported for centuries. Because of this reason, the first Exporters’ Association in Turkey was established here in Izmir in 1939 in order to bring exporters together. Exporters’ Associations are semi-governmental bodies working under the supervision of Ministry of Economy. Buyers from the selected countries including Brazil and United States of America are going to be invited to join in the Mission. For the companies attending the Mission, a briefing on Turkish Olive and Olive Oil sector, bilateral business meetings with the Turkish exporter companies, visits to production fields and facilitates and a special sightseeing tour will be organized. Also I’d like to share some export figures of the countries which has been chosen as a target market by our committee. China, Japan, Iraq and USA has been chosen as target markets by our committee for olive oil and we have been performing advertising and promotion activities in these countries since 2007. Thus since 2007 our olive oil export to China rose by 461%, Japan by 112%, Iraq by 229% and USA by 148% in value. Likewise Germany, Bulgaria, Iraq and USA have been chosen as target markets by our committee for table olives. Thanks to our promotion activities our table olives export to Germany rose by 9%, Bulgaria by 29%, Iraq by 407% and USA by 9% in value since 2007.